Stretch Adams is the sort of Detroit artist whose work usually escapes notice in the media. He’s not a European taking advantage of the city’s infamously cheap studio space or a polished professional with work blanketing the walls of some hip local gallery. Instead, he lives a bohemian life. He works in the restaurant industry, makes art and music in his free time and occasionally travels around the country in search of adventures. It’s an uninhibited lifestyle that’s clearly reflected in his artwork. In fact, the eccentric, gangly characters in his drawings seem as if they themselves have hitched a train from another dimension. 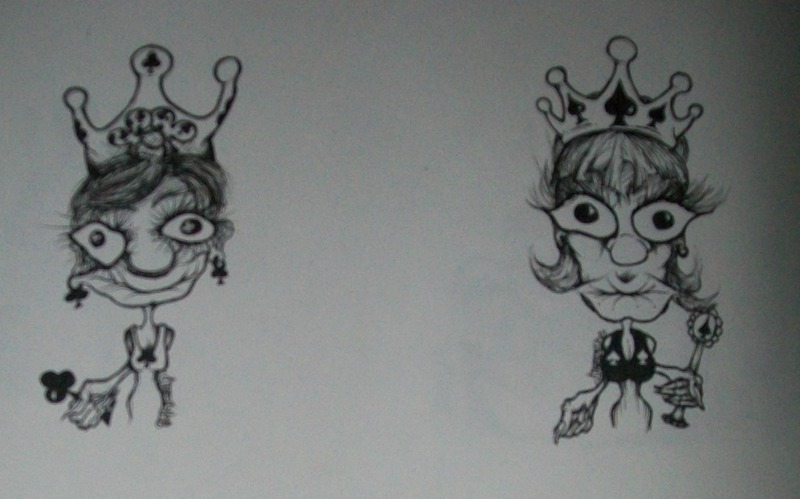 Their exaggerated, perplexed expressions walk the dusty back road between goofy and grotesque. Stretch’s wild works of imagination aren’t easy to find, but they occasionally make an appearance on local music posters, street stickers and on the walls of his home, a Detroit housing collective known as Crow Manor. Critical Moment caught up with the artist recently to learn more about his life and creations. Critical Moment: Tell us about your style. 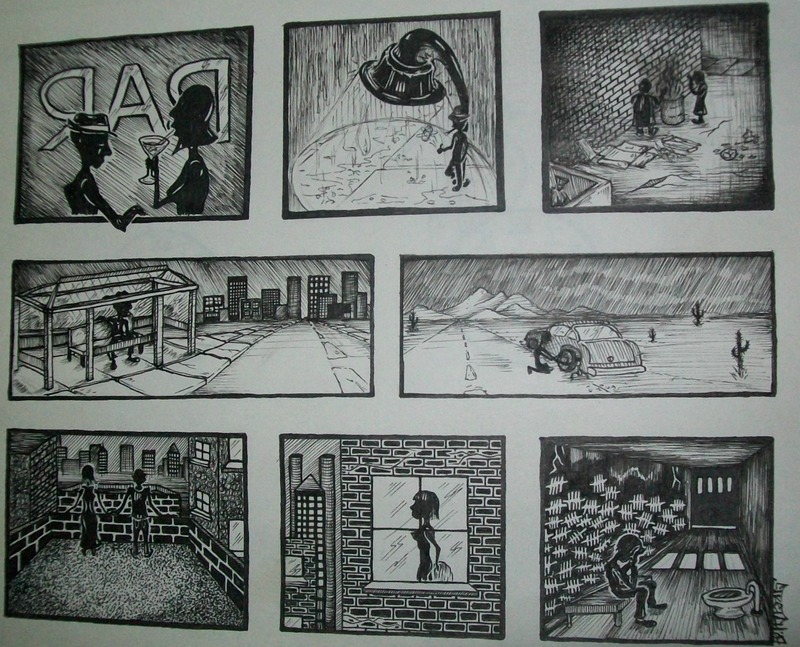 Stretch Adams: I started developing a style probably around about 18 or 19. I’ve always been drawing since I could hold a pencil. 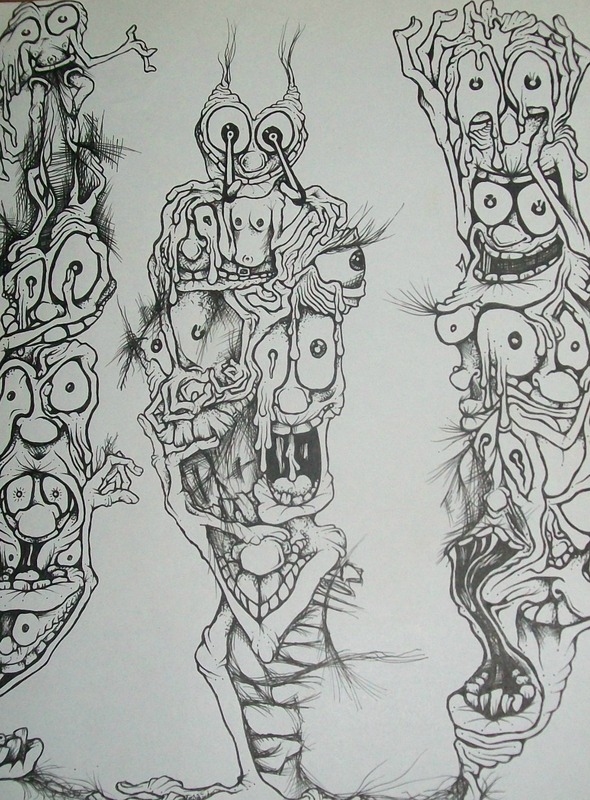 I started developing that style of really exaggerated, surreal, cartoonish stuff. The most important thing to me then was just keeping my pen on the paper and not really being concerned with the end result. CM: How would you describe your body of work? SA: Mostly everything is all pen and ink. They’re just slices of life. I usually try to convey a situation that a character would be in with the least amount of frames as possible. CM: Tell us about your playing cards. SA: That idea came about because I was travelling and selling art on the street. A lot of people liked the art, but they thought it was too weird. So I needed something to put my art on that goes beyond an alternative radical lifestyle. And cards just came about because my family has always had cards since I was a little kid. If you know how to play cards, you can make friends with anyone else who knows how to play cards. I came up with the idea in about 2006, finished all the drawings that year and it pretty much took me about 3 years to save up the money to get them produced. So they didn’t even get produced until 2009. I just took them back on the road, sold them out of my suitcase. CM: Can you tell us the stories behind some of your drawings? 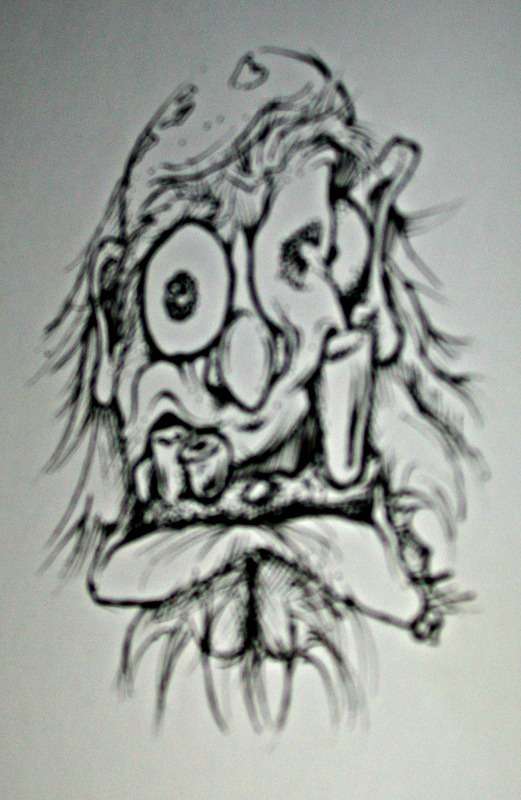 SA: The Old Man—He obviously doesn’t appear as extreme as I portrayed him. He was an old fella. We were hanging out in Austin, Texas on the street, and he offered us five dollars to go to the grocery store and steal him a shopping cart so he could put his wife’s homemade tapestries in it. She was an old mestizo lady. She was very small. She was only about four-foot-one, and she had been deported two months beforehand. Two weeks before, the old man went to Mexico, got her, hiked back through the mountains and illegally hiked through the border to get to the United States. She had bloody feet. Her feet were covered in blood. She had no shoes. The idea of him going to get this lady in Mexico and hiking back with her in the mountains, was just the ultimate love story. 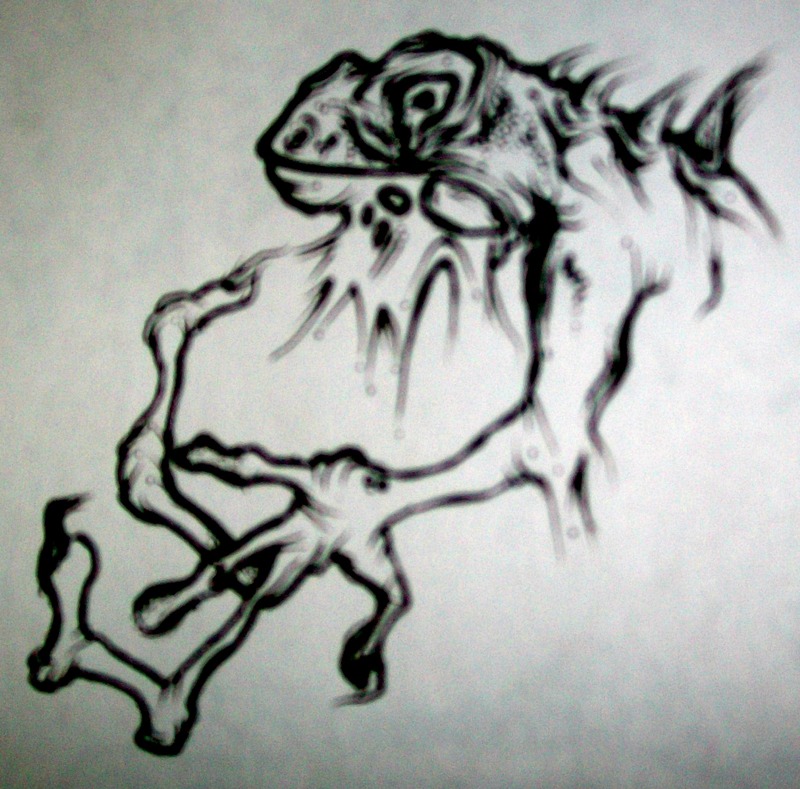 The Iguana—That is Vladimir. He was an iguana that we found at a truck stop, sitting on a brick wall in November. We grabbed the iguana off the truck stop wall and asked the clerk to make an announcement. She goes: “Attention Flying J customers. If any of y’all have lost an iguana, please come to the front desk.” We waited at the truck stop for about an hour and no one came to claim the iguana. The clerk just suggested we try and find it a good home. So we just took it traveling with us. I kept him around the back of my neck to keep him warm, and we hung out with him about two, three weeks. Then we got into North Carolina and met some folks who were willing to take him in. CM: Tell us about your music. SA: During my travels in Colorado we picked up a hitchhiker who ended up becoming one of my best friends … he taught me how to play guitar. I really took to the simplicity of country music. It was a lot like punk rock to me—three chords. I’ve been writing songs for the past seven or eight years. I’ve got a recording out. It’s self titled, “Stretched Across the Tracks.” It’s on Bandcamp available for streaming and download. CM: Tell us about Crownival, the yearly summer music fest that takes place at your house. SA: The Crownival was inspired by two major life events. The first of which was the loss of a really good friend, Dave Kujawa. He was the guy who started our house. He built the collective and we lost him to mental illness. During that period, I was having a rough time in Michigan and Detroit. So I went to visit a friend of mine in New Orleans. After experiencing the carnival culture and the parades and their celebration of life and death, it just really resonated with me. I combined the idea of our house with the spirit of a great carnival. We were just trying to pull in all kinds of local Detroit artists and all the people I’ve met travelling across the country and have inspired and changed the way I do art. CM: How would you describe the arts community in Detroit? SA: The amazing thing about being a creative person in Detroit is people respond simply to the fact that you’re being creative. They don’t have to necessarily appreciate the specific idiosyncrasies of the art or whatever creative thing it is. It encourages you to delve more into your style and what you want to show people, instead of worrying about an audience and what they want to perceive. 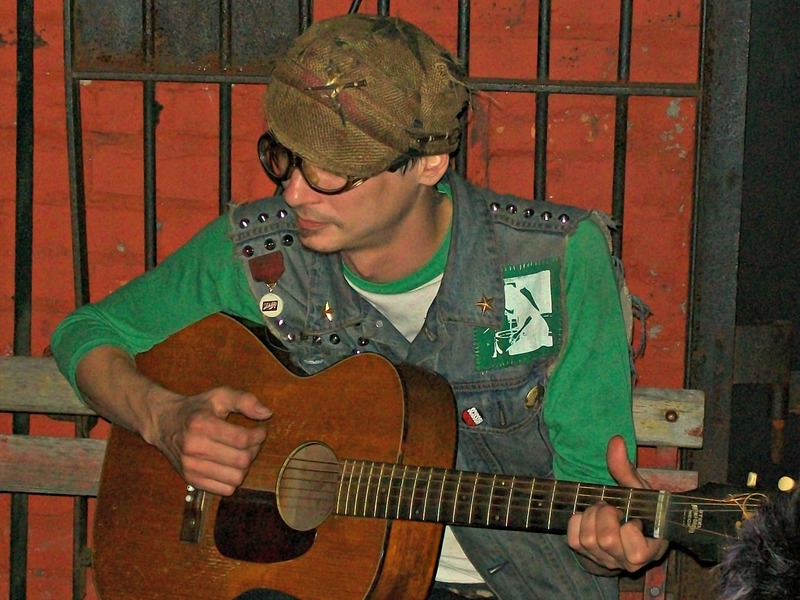 Stretch Adams is a Detroit-based artist and musician. He can be contacted at stretchedoutart@gmail.com.